Opportunity Zone Panel - Tax Savings and Much More! ForumsArrowReal Estate Events and HappeningsArrowOpportunity Zone Panel - Tax Savings and Much More! We are excited to kick off the new year with a great Philly InvestHER Meetup! 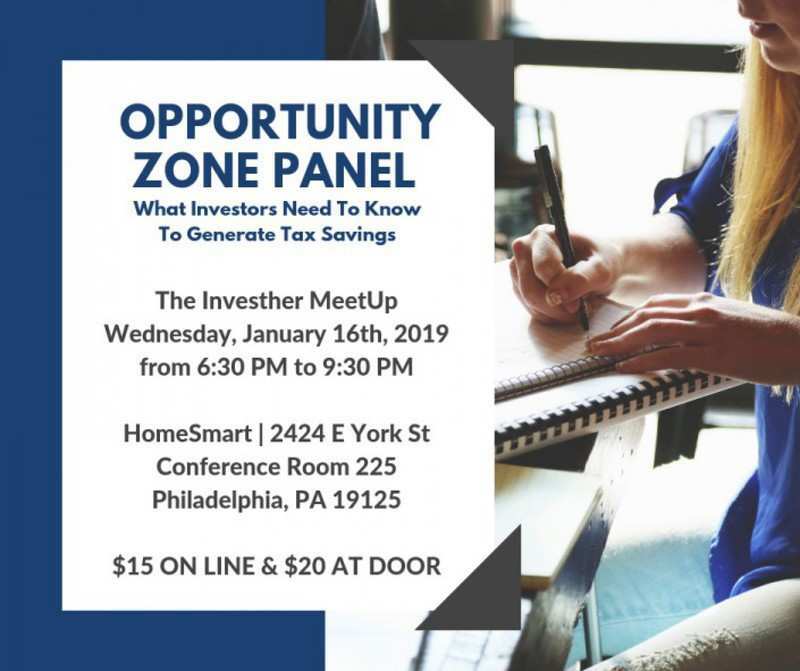 This meeting will host a ROCK STAR panel of women investors discussing all things related to Opportunity Zones and how investors can utilize these zones for HUGE tax savings and incentives! RSVP & Get your ticket via EventBrite!! Learn more about The Real Estate InvestHER Podcast by visiting our website where you can listen to the latest episodes and get the support you need to live a financially free and balanced life! @Elizabeth Faircloth who is on the panel? We had the event last night! There was 2 developers, 2 attorneys, and a residential realtor!